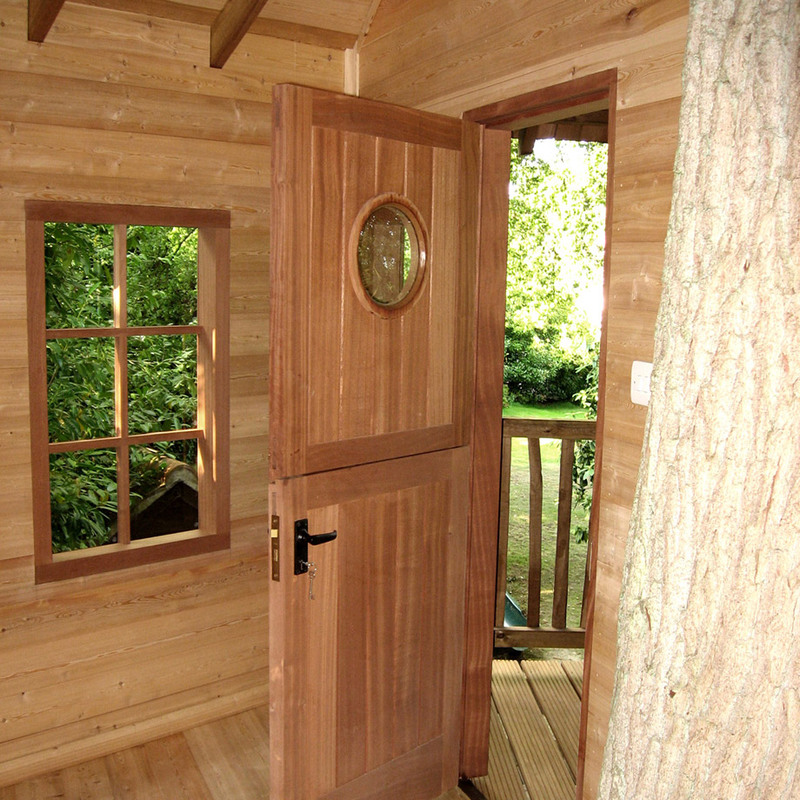 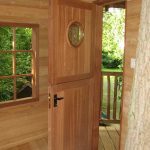 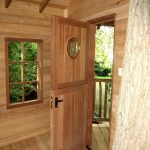 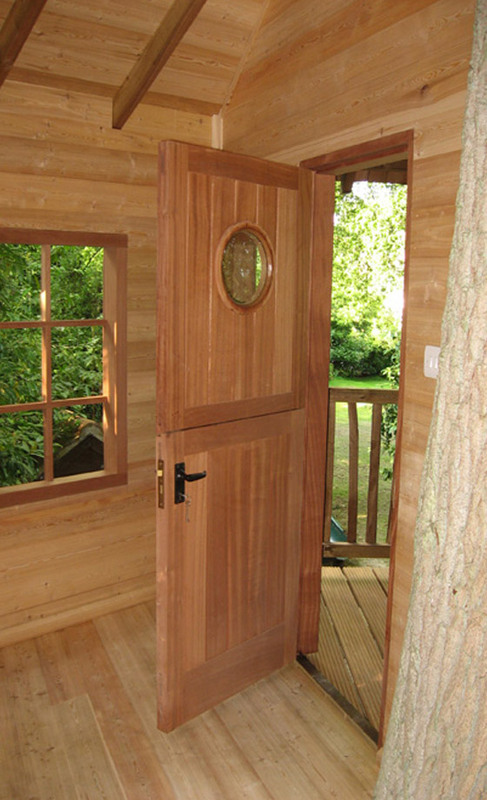 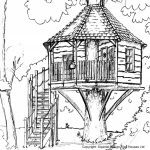 When the client’s son mentioned that he had definitely grown out of the wendy house and his parents decided to rekindle their dream of owning a tree house, we were called in to discuss the possibilities. 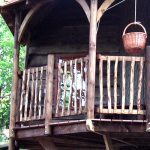 A bespoke tree house was a natural addition to the gypsy caravan, carefully designed outdoor entertaining areas and lovingly tended garden. 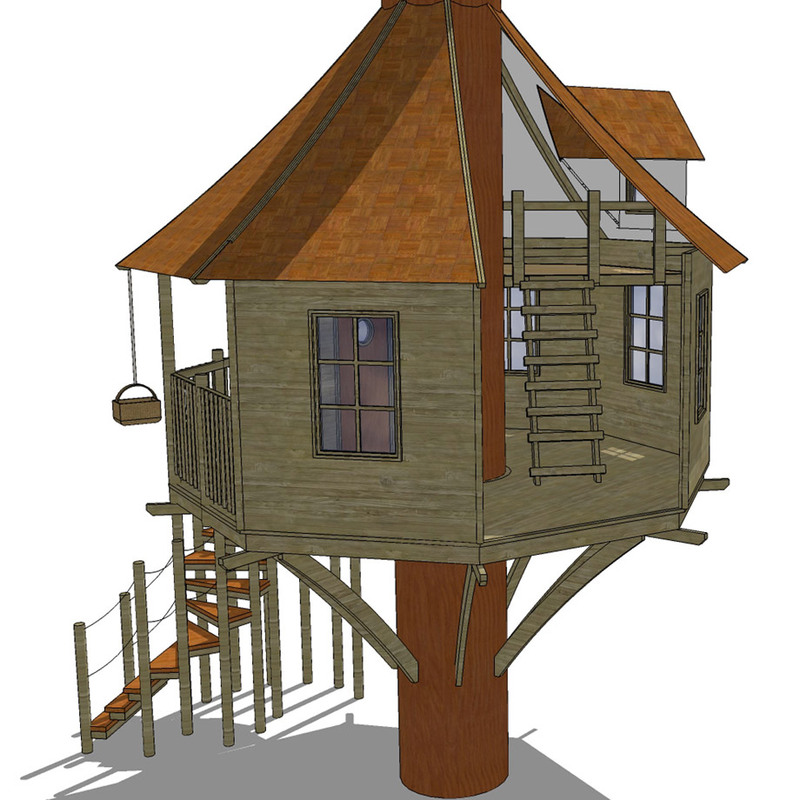 We were asked to create a high quality, skilfully finished and attractive tree house to work as an outdoor living space for all the family: a bolt hole for the young teenage children – to see them into their older teenage years and beyond – and a peaceful tree house hideaway for the adults. 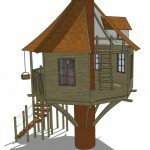 The materials needed to be of the highest quality and the structure large enough to have a sitting area. 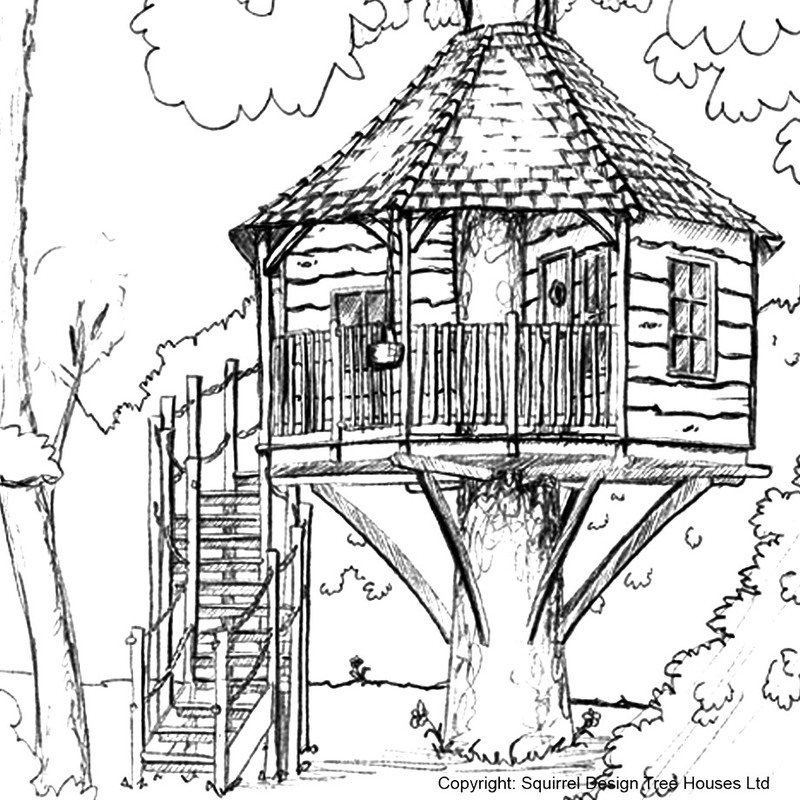 The positioning and design of tree house were essential as whilst it was to be a feature, it was important that it did not overwhelm the garden as a whole. 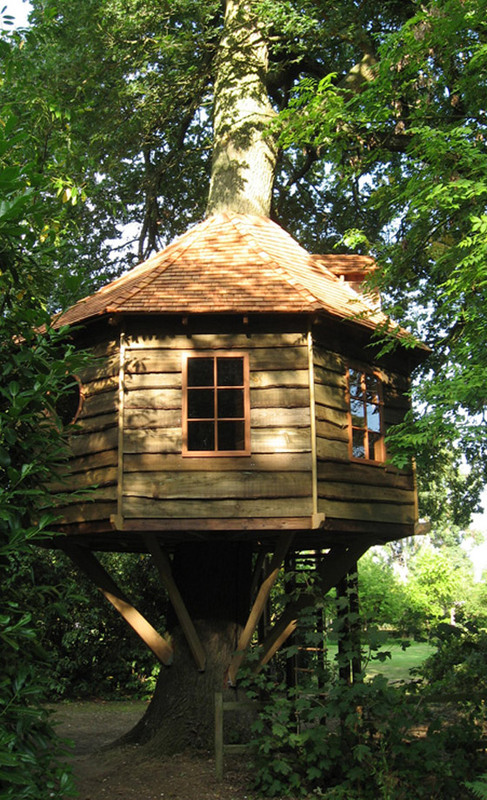 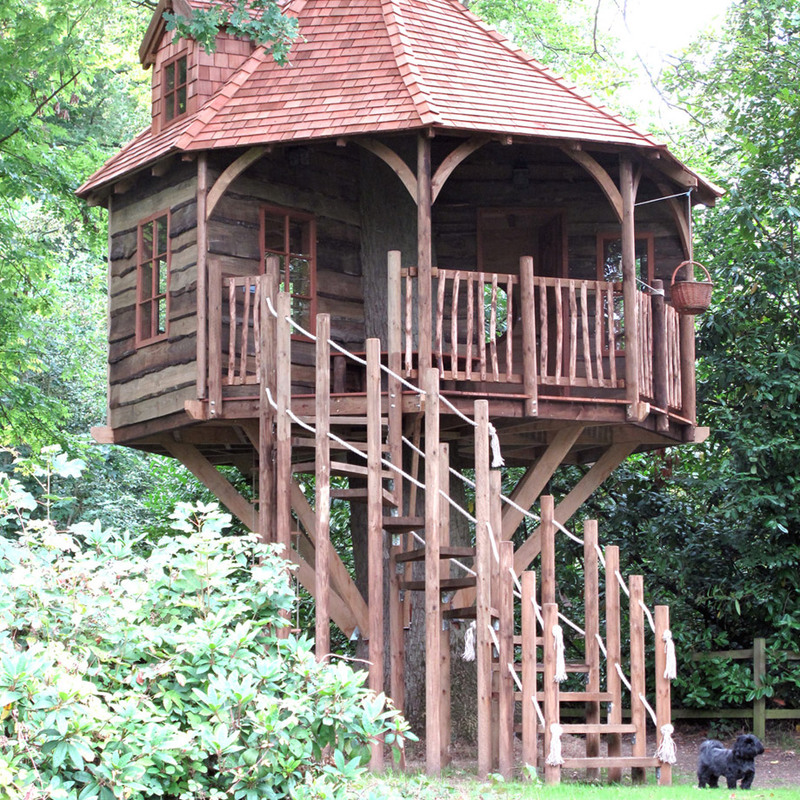 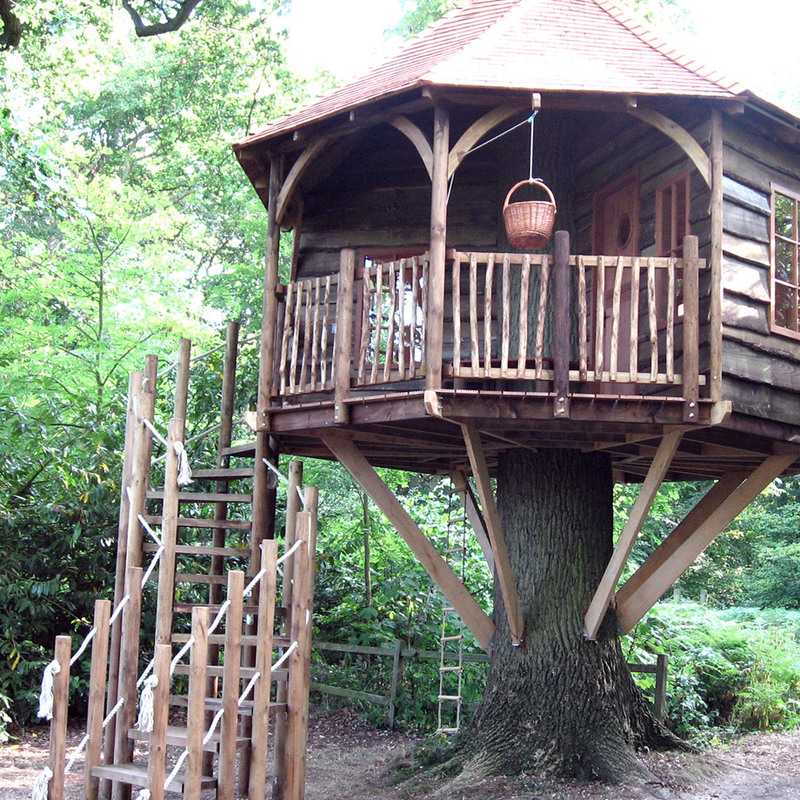 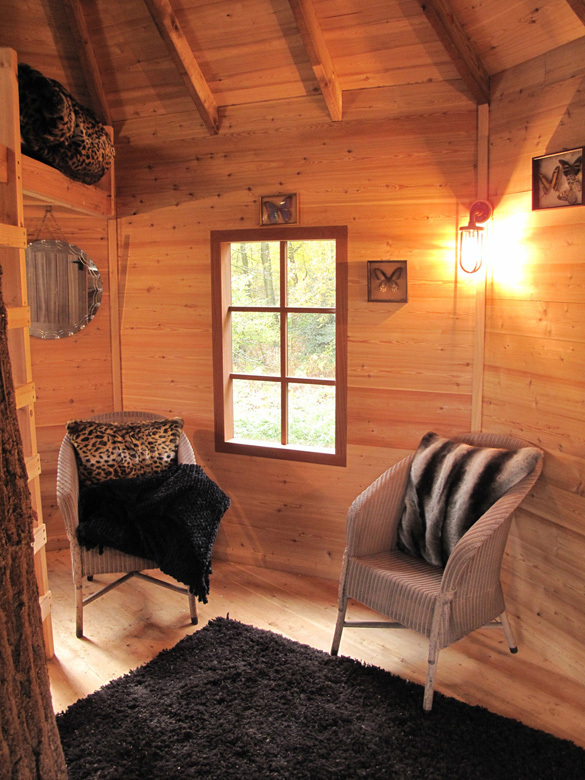 This magnificent treehouse is constructed with a high percentage of quality oak and other durable woods, complimented by natural materials such as sweet chestnut palings and a cedar shingled roof. 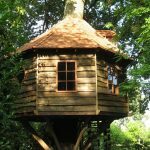 It incorporates a fantastic viewing platform to the front of the tree house with a wooden bench wrapping around the tree trunk. 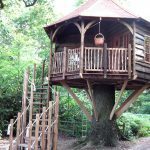 An internal mezzanine level offers a great hideaway space with a rope ladder dropping down and through the floor to the ground. 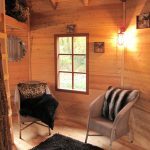 There is enough space on the lower level for a small sofa, and along with the mezzanine, enough overall space for several bodies to comfortably camp out. 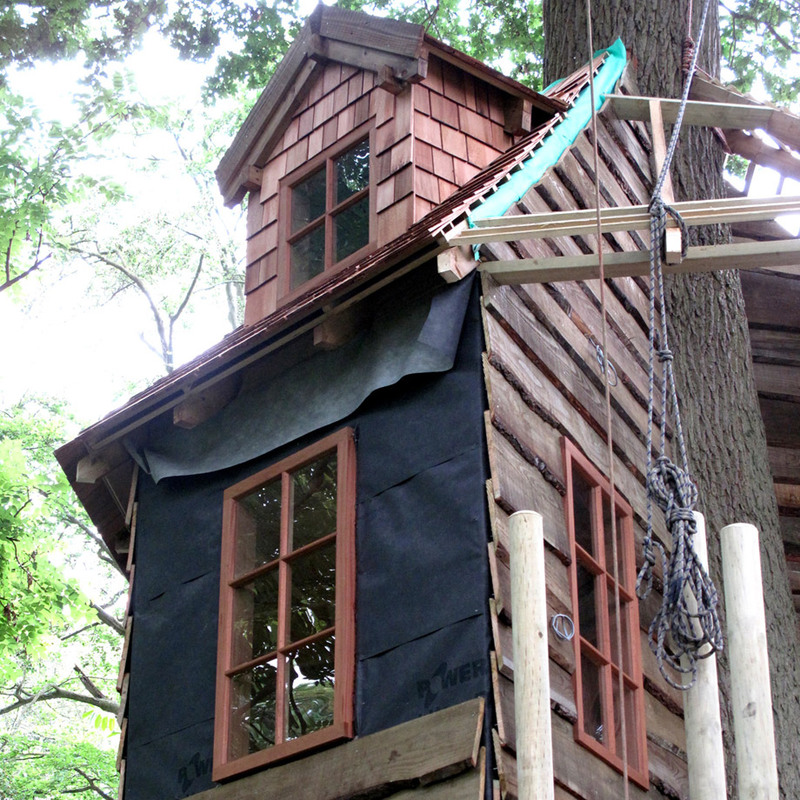 A basket on a rope pulley is always a popular feature for those essential supplies – liquid or otherwise.